Math is one of those subjects in school that kids either love or hate; they get it or they don’t. One way to build the bridge towards the love for math is to start young. 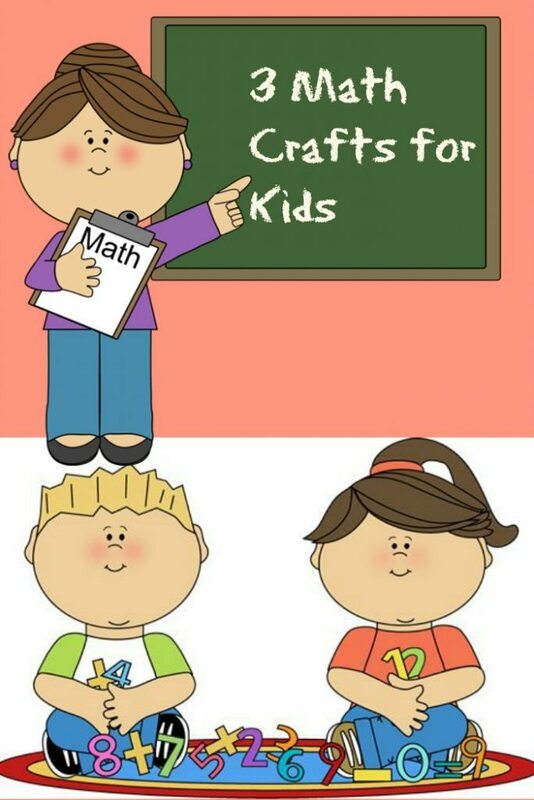 You can do that by creating fun and interesting crafts using math. Math crafts—especially ones that create games—help kids conceptualize math. Conceptualization is what occurs naturally in the brain when kids do well with math. By helping your child develop the ability to see how math works, you’re helping to develop the necessary skills for mathematical reasoning. Here are three awesome math crafts that you can do at home to help your kids foster a love for the subject of math. Write numbers on the toilet paper roll. 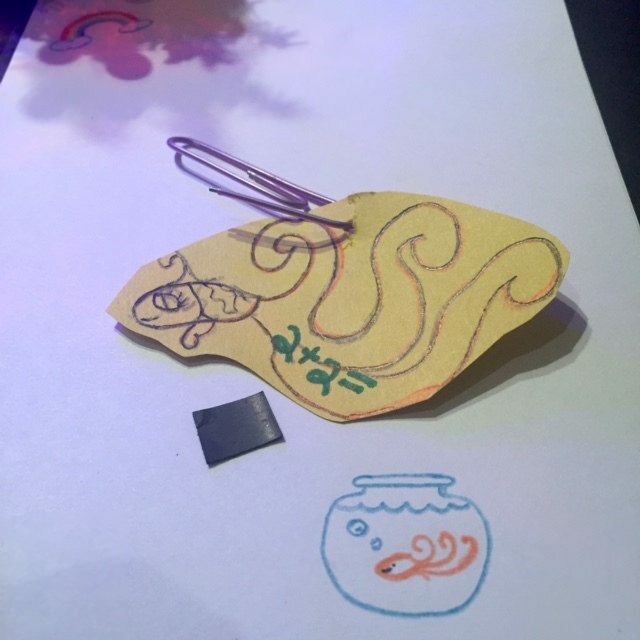 Kids cut out fish and decorate them with math problems. They can be addition, multiplication, subtraction, division, etc. Create the fish based on your child’s need. Tie string to the dowel rod and wrap some tape around the string to ensure it stays fastened. Tie the magnet to the loose end of the string. Attach a paperclip the fish. To play the game, lay the fish face down, so the problems are not showing. Kids get to “fish” for problems using the magnet end of the fishing rod to attract the paperclips on the fish. When they reel up a fish, they have to correctly solve the problem. If they get the problem correct, they get to keep the fish, if not, they have to throw it back. This is a fun activity for kids who are a little further along in their math education. It’s a great way to celebrate pi day. The activity is really simple. Start with the first number in pi, 3, and color up 3 blocks with one color. Choose a new color and move to the next number in pi, 1. Color one block in a new color. Move to the next number, 4, and color up 4 blocks. Eventually, you will have what looks like a skyline of buildings—a pi scape! Math is not only an important part of school; it’s a crucial life skill. By taking the time to make it fun and interesting for your kids, you’re helping to set them up for success. Regardless of their math perception, educators schools and organizations have much to offer and assist students in succeeding in any subject. For instance, the math tutors of Cambridge are proactive in all that’s involved with helping students comprehend the most challenging of subjects. 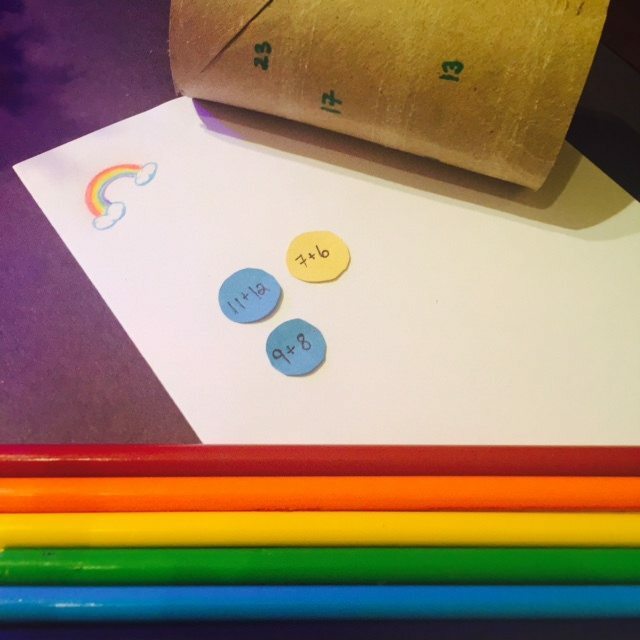 What Math Crafts have you made to help your child get excited about math? that it is helpful to you. I love these. My son has been begging for a fishing game, I am going to have to help him make this so he can learn his letters and numbers quicker. Thank you! Love the idea of making math into a fun game! The pi-scape skyline sounds neat, too. I may have to do that with my kids. These are great crafts — the magnetic fishing is really cute. My kids are a little bigger so the Pi Scape is a good one for us. Putting it on the Pi day curriculum! These are great and look really helpful. I hated math as a child and my oldest isn’t a huge fan but games like this make learning fun! I wish I would have known these when my daughter was younger. She was not a big fan of math and we always struggled with it. There were a few games to help her out then, but not enough. These ideas are really helpful, because I hated math as a child but I don’t want to pass that on to my children! Love the toilet paper roll craft especially, looks so easy to put together!